The Greatest Dad in the Universe! Thank you for being the Greatest Dad in the Universe! Thank you for being the Greatest example to be a Parent! Thank you for loving me so much as a sinner, that you found me forgiven thru my Big Brother Jesus! Thank you for never giving up on me, even though I sometimes wanted too! Thank you for punishing me when I disobeyed, I know that you Love Me. More than anything thank you for Adopting me as your daughter through Jesus Christ! Thank you for giving me a man who loves me & cares for me, the way you want husbands to be! God he is a understanding man who tries to relate to all that I have been through and stands by me! Some men would have ran away when I have had all the surgeries, I have had. He was there when I could not walk, wipe the drool & tears from my face. God, thank,you for loving me so much that you put David in my life. He is a wonderful Father to two sons (Dave & Adam)! He is loves his sons so much that he gave up a lot for them! God, because of Daivd I now understand how much you Love your children that you sent Jesus to die in our place! I love you so much! There is no amount of words that could express how much I Love You! 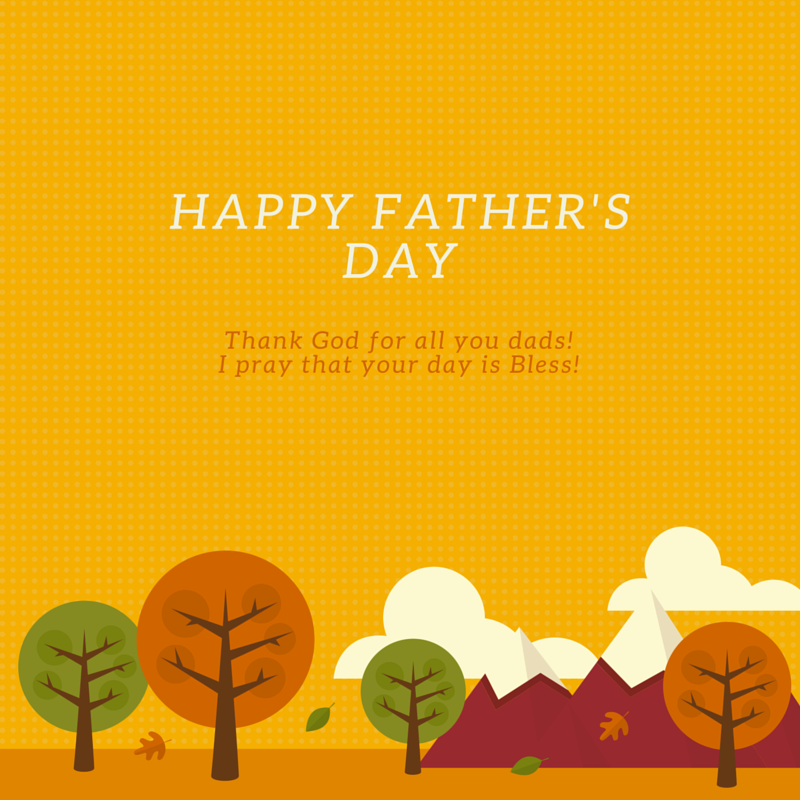 Wishing everyone Father a Blessed & Wonderful Father’s Day!